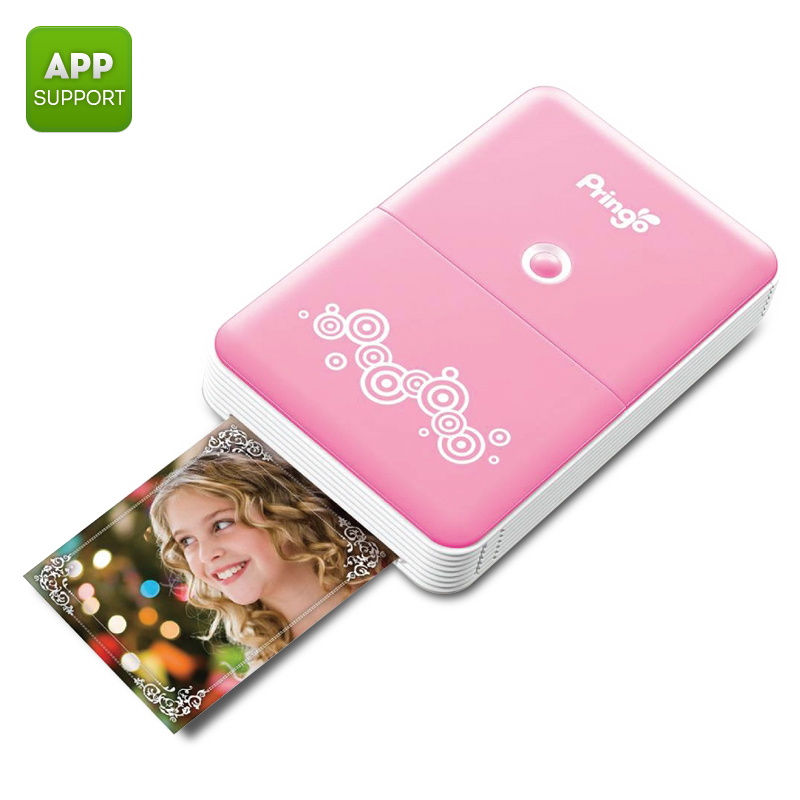 Successfully Added Portable Wi-Fi Photo Printer - Prints Photos From Smartphone, Free Android and iOS Apps, 2.1 x 3.4 Inch Image to your Shopping Cart. How can you take memories of a wonderful night out, a picnic with friends, a kids’ birthday party or simply a memorable day with you? Sure, you can snap a few photos with your phone and have them added to your digital gallery. But what if you have something more special in mind? This mini portable Wi-Fi printer can bring your mobile photos to live in a matter of one minute! Simply connect it to your phone via Wi-Fi and walk away with awesome ready-to-frame photos of that special occasion. The mini Wi-Fi printer is also useful for DIY projects. You can quickly create memory boards, family trees, collages and more. It's really easy-to-use and even your kids are sure to get the hang of it in no time. Simply connect the mini printer to your phone — Android or iOS — download the free app and you are ready to get started! The printer is capable of creating 2.1 x 3.4 inch images in just 65 seconds. Thanks to its small size, the mini Wi-Fi smartphone printer is easy to bring along on an outing, music festival, amusement park or even a hike or camping trip. The printer is small enough to fit into your backpack or even a large pocket. It comes with a built-in 550mAh battery, so is super convenient to use on the go and as it uses Wi-Fi there are no cables needed. The Portable Wi-Fi Photo Printer For Smartphones comes with a 12 months warranty, brought to you by the leader in electronic devices as well as wholesale printers and smartphone accessories..